Skyrim's main story revolves around the player character's efforts to defeat Alduin, a Dragon god who is prophesied to destroy the world. 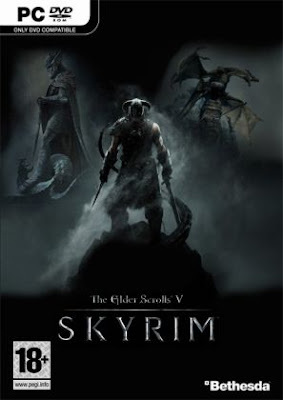 Set two hundred years after Oblivion, the game takes place in the fictional province of Skyrim, upon the continent of Tamriel, and the planet of Nirn. The open world gameplay of the Elder Scrolls series returns in Skyrim; the player can explore the land at will and ignore or postpone the main quest indefinitely. Skyrim was a critical and commercial success, receiving universal acclaim and shipping over 7 million copies to retailers within the first week of release. pre. nakajoin ko na ung mga file. anung file type un? di ko maopen eh. ilan lhat size n2 boss? sir na join ko na ung file but theres no description i mean walang name ung file rzr-krm pano po ba gagawin dto? what I will do next? I already Join the files. sir help i also got rzr-krm its not an iso its just a file so i rename it to.iso when i mount to daemon it said its corrupt ot the drive has to be formated ..